This is one bit of ski instruction that actually means different things to different people. Most would think that the boots should be about one foot apart, i.e. the actual width of the hips, from pocket to pocket. This is not the case. For instance, the CSCF defines having the feet hip width apart when the second toe is under the center of the hip joint. 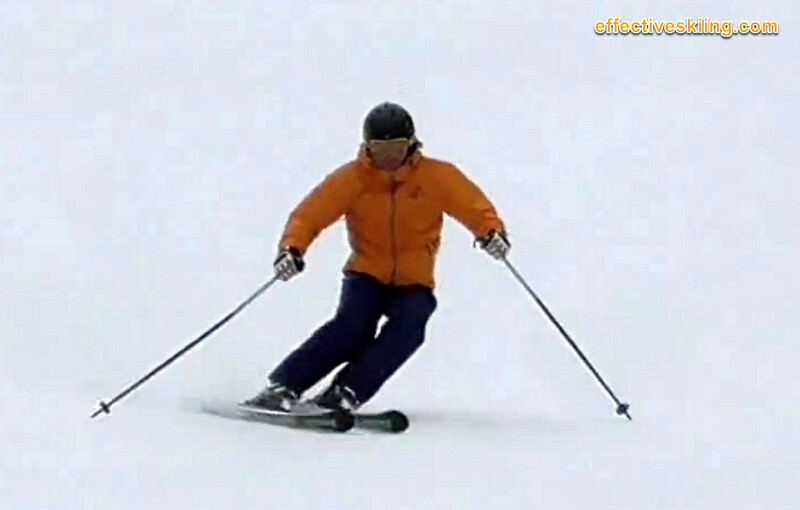 That's narrower than many think a stance should be - see the bigger discussion: Skiing - the wide stance debugged. A wide stance is stable when gliding at speed, likely though too stable to develop good balance skills at the lower recreational speeds. It's like having your training wheels on. A narrower stance encourages mobility and flexibility to improve overall balance skills, as in performance skiing, we generally focus on balancing on the outside ski rather than both skis at once... so a narrower stance encourages carving on the outside ski. Viewed 762 times ( | Print ) this page.